When will be Dave the Barbarian next episode air date? Is Dave the Barbarian renewed or cancelled? Where to countdown Dave the Barbarian air dates? 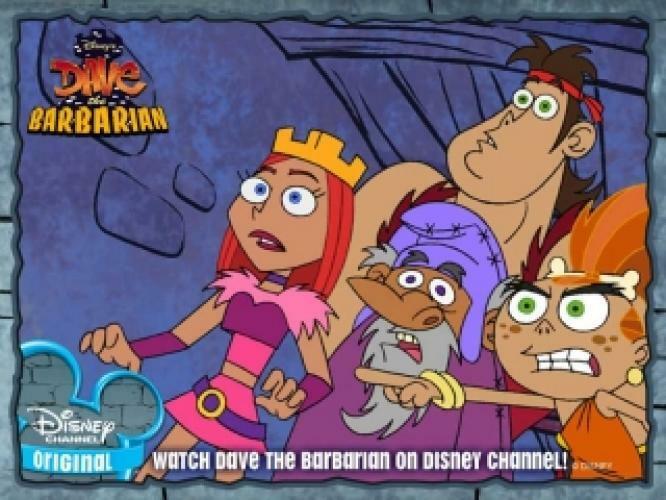 Is Dave the Barbarian worth watching? This show follows a barbarian named Dave, who goes on many funny journeys and adventures with his family, which includes Candy, Fang and Uncle Oswidge. They protect themselves from strange foes in the Middle Ages. Dave has combines his great strength with a passion for the finer things in life, like origami, watching birds and even gourmet cooking. Although Dave the Barbarian is complete according to what TVRage requires, you can still try to add some missing notes and other things. Note: This show is canceled. EpisoDate.com is your TV show guide to Countdown Dave the Barbarian Episode Air Dates and to stay in touch with Dave the Barbarian next episode Air Date and your others favorite TV Shows. Add the shows you like to a "Watchlist" and let the site take it from there.